Single-family home sales volume held steady across the Austin-Round Rock Metropolitan Statistical Area (MSA) in July, while housing inventory levels posted strong gains, according to the July 2017 Central Texas Housing Market Report released recently by the Austin Board of REALTORS®. 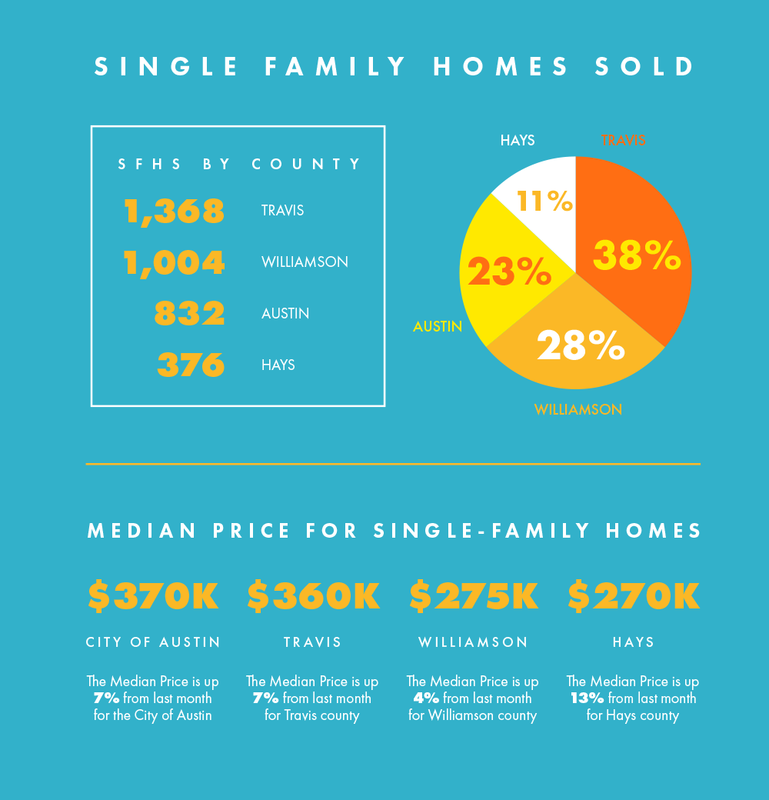 The 2017 Austin Quarterly Briefing recently released by Metrostudy showed that the pace of single-family home starts in the Austin area are at their highest level in 10 years, with approximately 1,000 more home starts in the second quarter of 2017 than the year prior. More than half of these home starts were in the $250,000-$299,999 price category, with Cedar Park/Leander West, Pflugerville and Kyle/Buda comprising nearly one-third of home starts activity. Metrostudy’s boundaries cover Hays, Williamson, and Travis counties. "While housing development is critical to maintaining inventory amidst rapid demand, the long-term sustainability of our market lies not in the pace of development but in the price points and types of housing options being developed," Guthrie concluded. “Without sound development policies in place that allow for lower-cost housing solutions to be built in Austin and in surrounding markets, our region’s housing affordability crisis will only continue to worsen."